Wonderful view home on picturesque Treasure Island, South Puget Sound. Beautifully finished hardwood throughout 2728 square feet. Main floor master suite + bonus room & open kitchen, living, dining areas. Second level has another bedroom, bath, plus 2 more bonus rooms! 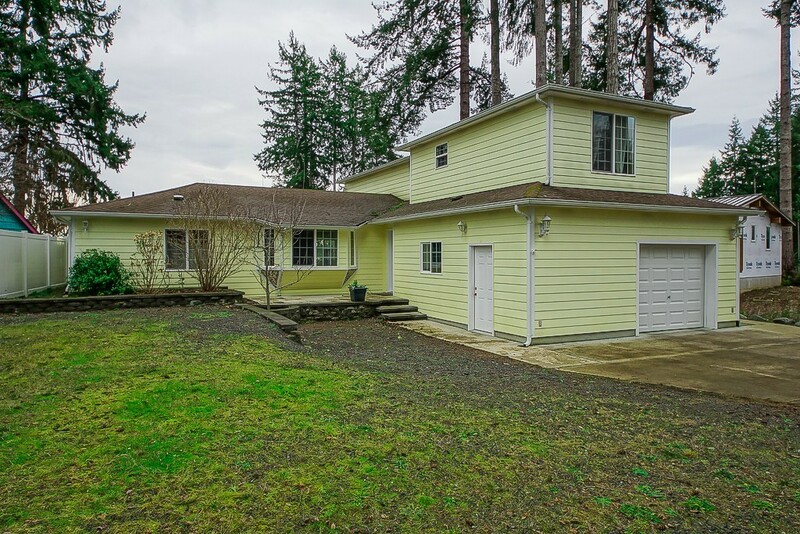 Home situated on large lot with views east to Mt Rainier & Stretch Island, west to Fair Harbor Marina. Short walk to two community beaches for swimming, boating, shellfish. Attached garage & RV parking space. Make an offer!